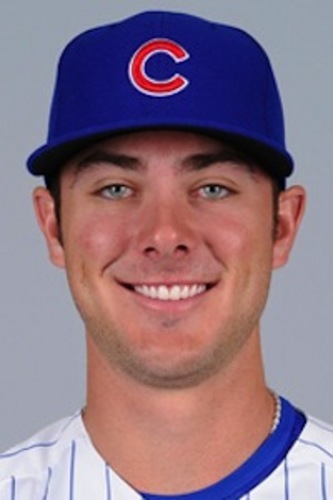 Kris Bryant (Chatham, 2011) won the 2013 Golden Spikes Award. Two former Harwich Mariners and a two-time Team USA member who had been recruited by the Brewster Whitecaps for this season are the finalists for the 2014 Golden Spikes Award, which will be presented in Los Angeles on July 17. Aaron Nola (Harwich, 2012), a right-handed pitcher from Louisiana State, A.J. Reed (Harwich, 2012-13), a left-handed first baseman-pitcher from Kentucky, and Michael Conforto, an outfielder from Oregon State, are the remaining contenders for the award which annually goes to the nation’s top amateur baseball player. All three were early-round draft picks last month. Nola, who last week was named the National College Pitcher of the Year, received a $3,300,900 signing bonus after the Philadelphia Phillies took him with the seventh pick in the draft. He is now pitching for their Advanced-A club in Clearwater, Fla.
Reed, the John Olerud Award winner as college baseball’s best two-way player, was drafted by the Houston Astros with the first pick in the second round (42nd overall) and has been assigned to short-season Tri-City (New York) of the Class-A New York Penn League. He signed a $1.35 million bonus contract. Conforto, who was voted the Pac-12 Conference Player of the Year for the second straight season, was drafted at No. 10 by the New York Mets and reportedly agreed to a bonus at precisely $2.97 million slot value about two weeks ago. Curiously, though the deal is not yet complete. "There are three or four (mostly) non-financial clauses that we are talking about," Mets general manager Sandy Alderson said in explaining the delay. The three finalists received the most votes during the semifinalist balloting round which included 23 players. Among them were Ben Wetzler (Falmouth, 2012) of Oregon State; Casey Gillaspie (Falmouth, 2013) of Wichita State (who finished fourth in the voting); followed by Max Pentecost (Bourne, 2013) of Kennesaw State; Aaron Brown (Chatham, 2012; Brewster, 2013) of Pepperdine; Kyle Freeland (Hyannis, 2013) of Evansville; Sam Travis (Y-D, 2012) of Indiana; and Connor Joe (Chatham, 2013) of San Diego. Should Nola or Reed win, it would mark the third straight year that a player from the Cape Cod Baseball League would own the Golden Spikes Award. Kris Bryant (Chatham, 2011), now a hot Triple-A prospect for the Chicago Cubs, won last year and Mike Zunino (Y-D, 2011), the Seattle Mariners' starting catcher, took home the hardware in 2012. Other CCBL winners in the award’s 36-year history include Buster Posey (Y-D, 2006-07) in 2008; Tim Lincecum (Harwich, 2005) in 2006; Khalil Greene (Falmouth, 1999-2000) in 2002; Pat Burrell (Hyannis, 1996) in 1998,; Mark Kotsay (Bourne, 1994) in 1995; Jason Varitek (Hyannis 1991, '93) in 1994; Ben McDonald (Orleans, 1989) in 1989; Robin Ventura (Hyannis, 1987) in 1988; and Will Clark (Cotuit, 1983) in 1985.